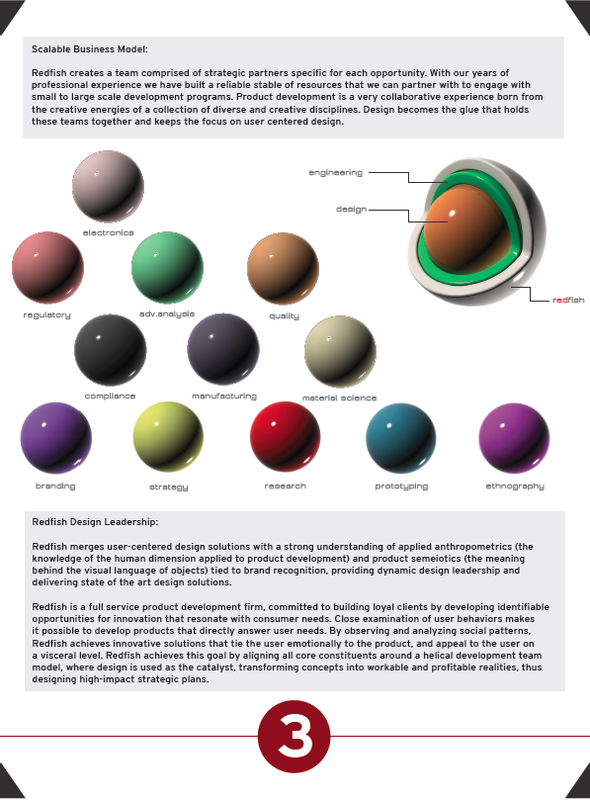 Please scroll through the pages to the right to get a closer look at our design process. 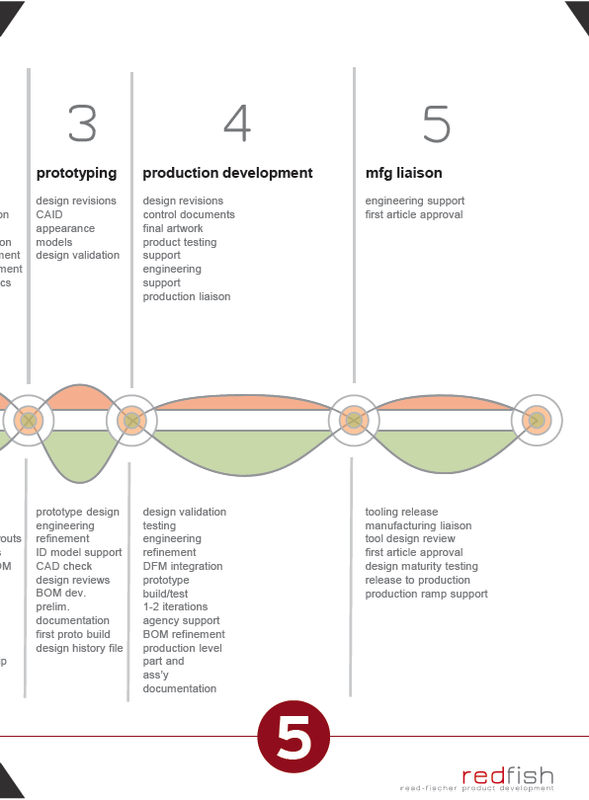 The design process we use is a combination of research, industrial design and engineering. We use this model as a base for each proposal and then alter it specifically for each of our clients to help them better meet their needs and goals. 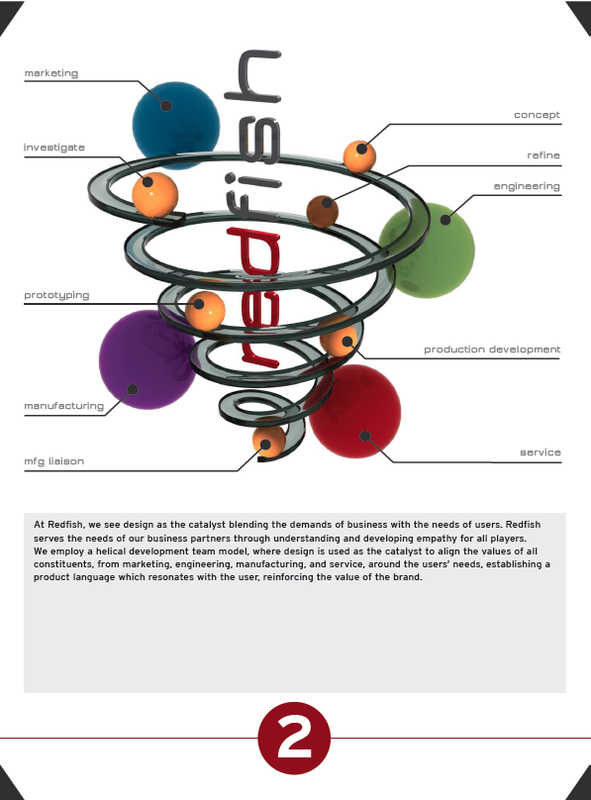 Redfish focuses on the balance and collaboration between the client and our design team through a variety of phases or project stages.